Protecting children in emergencies Syria: A lost generation? 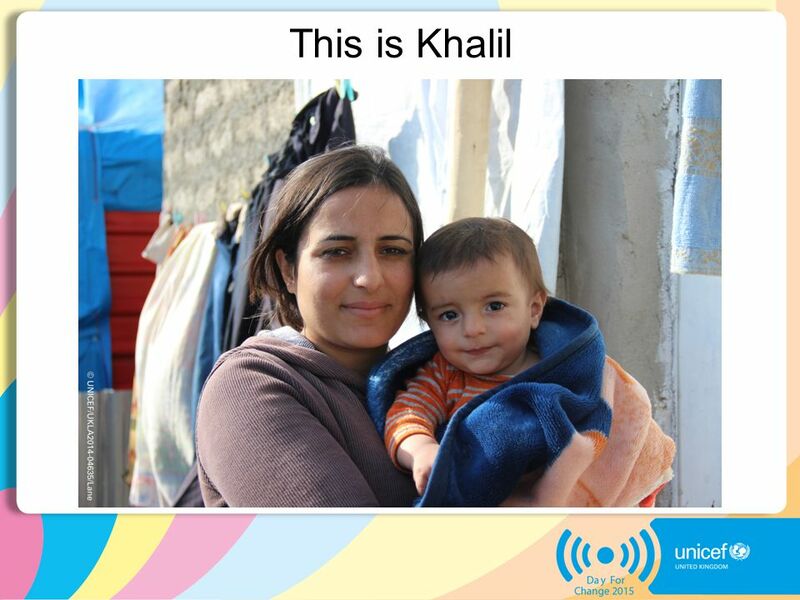 1 Protecting children in emergencies Syria: A lost generation? 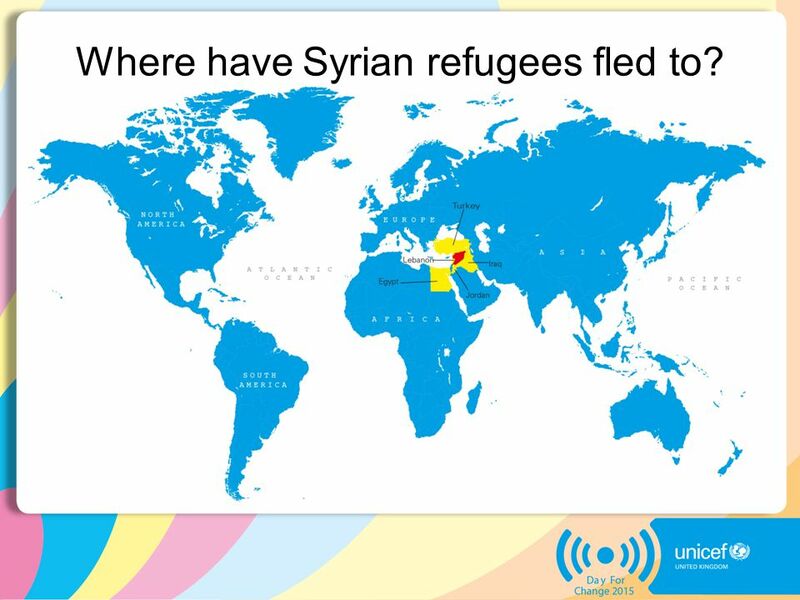 2 Where have Syrian refugees fled to? 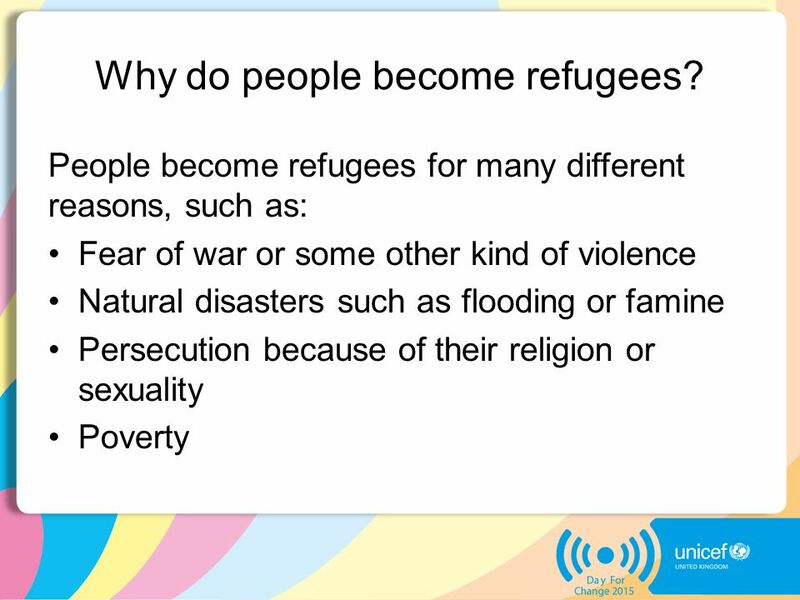 4 What is a refugee? 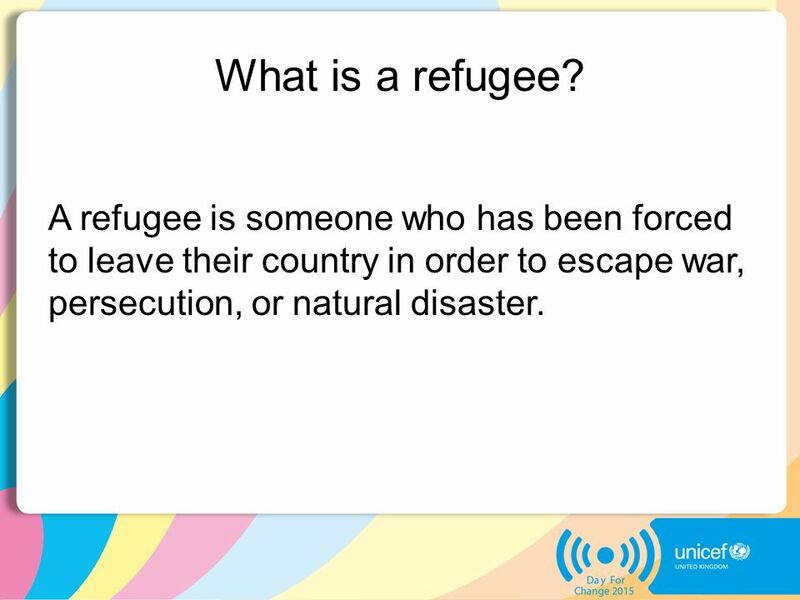 A refugee is someone who has been forced to leave their country in order to escape war, persecution, or natural disaster. 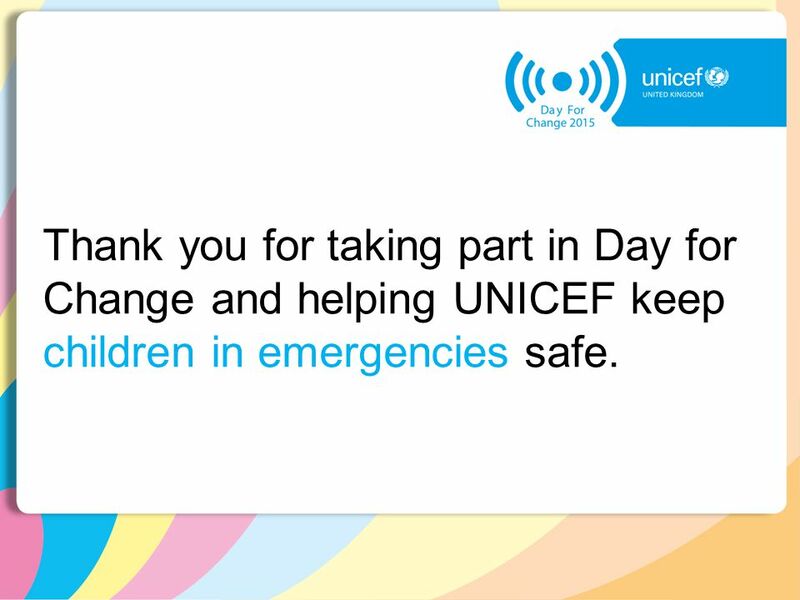 8 Thank you for taking part in Day for Change and helping UNICEF keep children in emergencies safe. 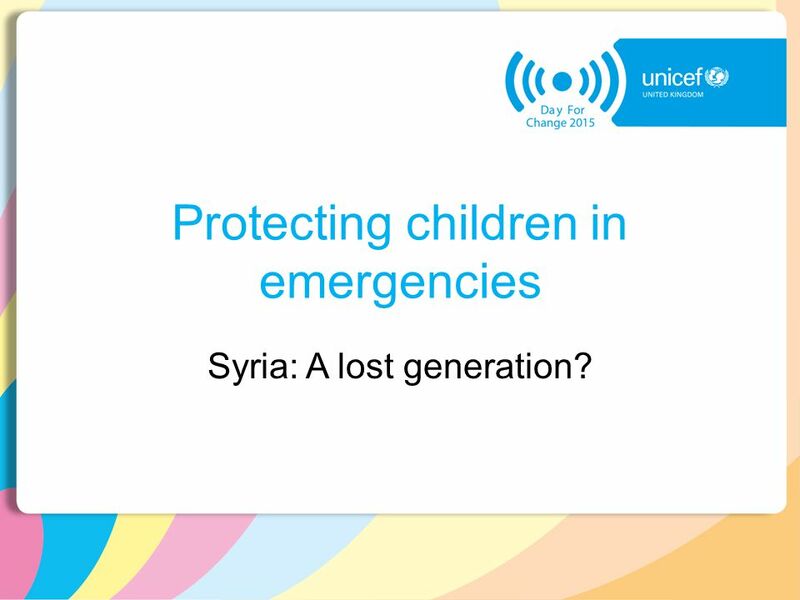 Download ppt "Protecting children in emergencies Syria: A lost generation?" Protecting children in emergencies Helping children affected by Typhoon Haiyan. SESSION ONE THE REFUGEE EXPERIENCE. PERSECUTION  For refugees, “persecution” means that they have had to run from their country because it is very likely. Who are these people? And what links them? Refugees throughout history Over the last 400 years many waves of refugees fled to our country to escape persecution. Walk for Iraq (NZ) 2008 © Walk for Iraq.  Walk for Iraq is a global movement whose mission is to organize sponsored walks that generate funds for life-saving. 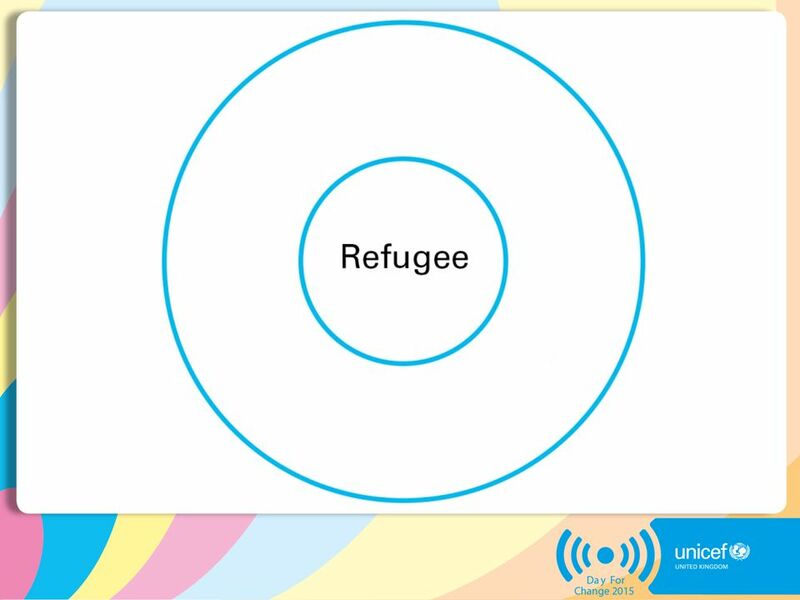 Copyright Eileen Pittaway and Linda Bartolomei, UNSW Centre for Refugee Research Session Three Human Rights What it means to us. Forced Migration Refugees. Forced Migration Major forced migrations in the 1980s and 1990s are Rwanda, Afghanistan, Bosnia, Kosovo and Chechnya. UNHCR. Country of the Day The second largest country in South America (after Brazil). An immigrant haven for Spanish, Italian, and German immigrants in the late. Do you agree or disagree? (3a) Extreme Attitudes.